One of the things I’ve noticed in my travels is the way in which hotels grow and change to meet the needs of patrons. More specifically, the ways in which technology inevitably affects all industries including one that has been around for thousands of years: hospitality. I have an unfortunate tendency to want to bring as much as possible with me when I travel. Twelve hours before any flight you can find me trying to cram clothes, CDs, and multiple pairs of shoes (never know who you might meet) into a laptop bag or other comically small piece of luggage. Then there’s entertainment: a Nintendo DS, a PlayStation Portable, Kindle, Droid X, Macbook Pro and an iPod for starters. Fully charged, I could probably run a power plant with all the electronics I’m packing. Travel has become an extremely high tech industry from the airport to the hotel and those who work in hotels have banded together to form the Hotel Technology Next Generation, a global trade association whose mission is to enhance deployment technology in hotels. This year marks the 10th anniversary of its founding. 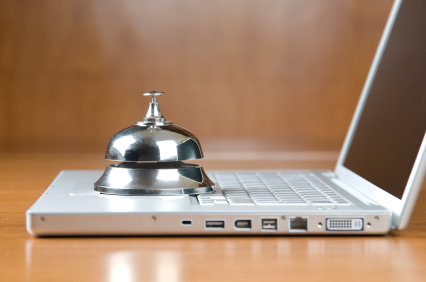 I didn’t realize it until recently, but technology plays huge role in hospitality. Wi-Fi access, management software, booking platforms and the rest would not be possible without comprehensive technologies powering them. Next month, leaders from the hospitality and technology industries will converge in the American Midwest to discuss the past years innovations and what to expect in the future. Naturally, the event will take place in a Chicago hotel. Guest Entertainment: Moving from offering a handful of premium cable channels to scaling up with the patron’s needs and wants. A recent move to eschew adult content in favor of “early-window” HD programming, mobile app integration, device-pairing (and the peer to peer technologies thereof), and investigating cloud systems and how they can be used to deliver Netflix content to hotel rooms. 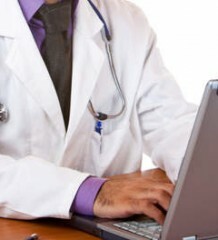 Infrastructure and Devices: Once the conceptual groundwork is laid, one must implement the lofty ideas. Of course, that’s easier said than done. This panel investigates the progress of implementation projects and their success. 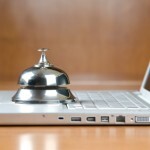 Integrating mobile devices into guest room services and the impact of mobile devices on hotel networks are the two leading issues.Travelers often check into hotels with more than one mobile device and as the trend continues, the implications for hotel wireless networks loom large on the horizon. Research into guest behavior will illuminate what hoteliers know now and what the future holds. The HTNG conference is more of an industry even than a consumer event, however it’s likely that we’ll see the fruits of these conversations in Chicago the next time we check into a hotel.